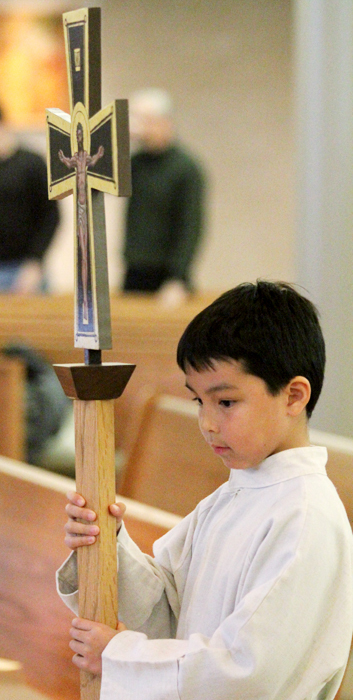 Altar server James Laden carries the cross in procession. 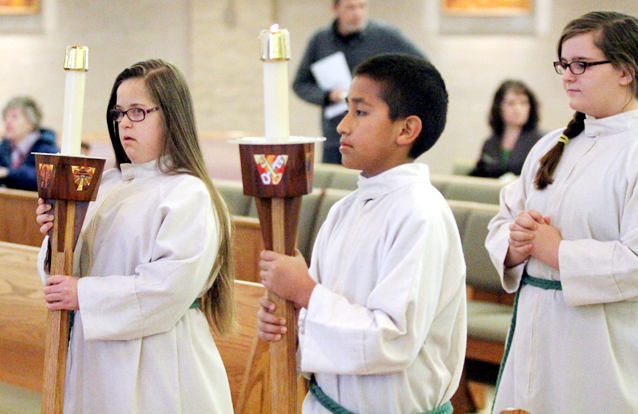 Altar servers for the Mass include, from left, Rachel Benoit, Brandon Pulgarin and Hannah Boone. 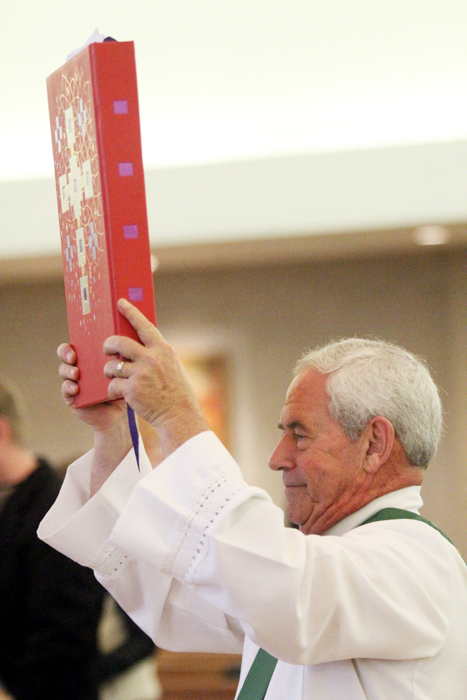 Deacon Todd Smith presents the Book of Gospels in the entrance procession for Mass. 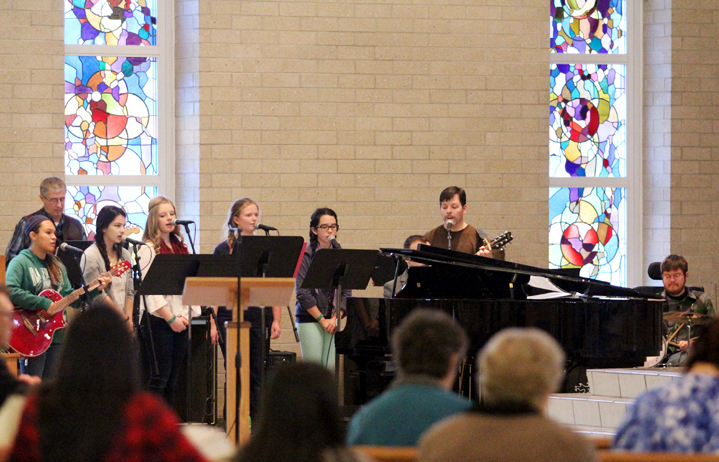 The youth choir sings and plays during Mass. 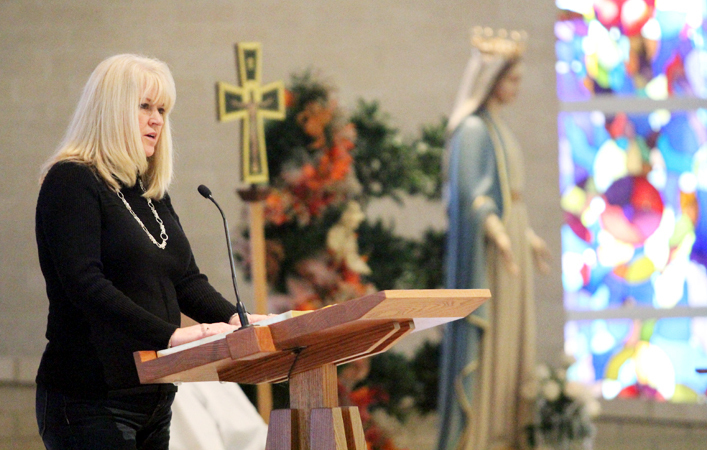 Lector Joann Neill proclaims a reading during the Liturgy of the Word. 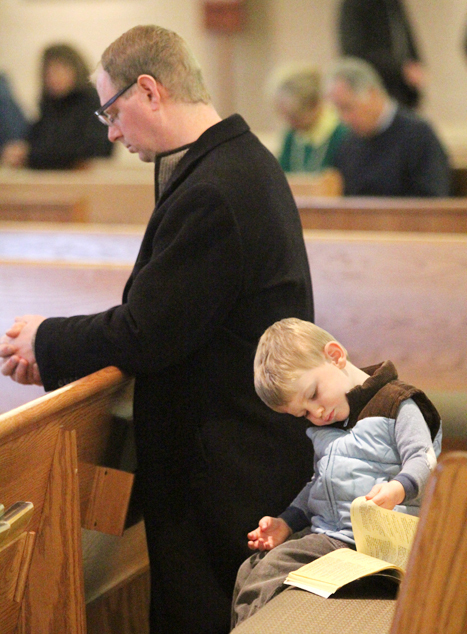 Ian Bowman snuggles with his dad, Jason, during Mass. 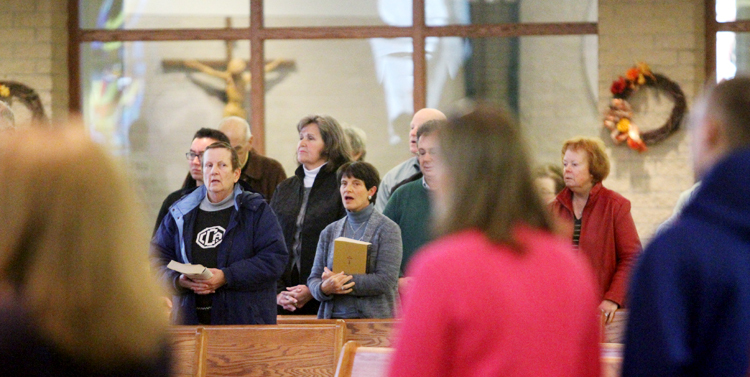 Thomas Hoffmann (right) listens to the Gospel proclaimed by Deacon Todd Smith. 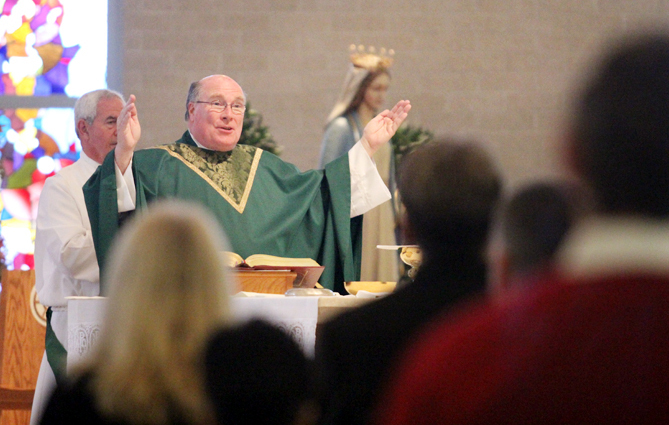 Father Michael Fitzpatrick, pastor of St. Peter’s, prays the words of the Liturgy of the Eucharist. 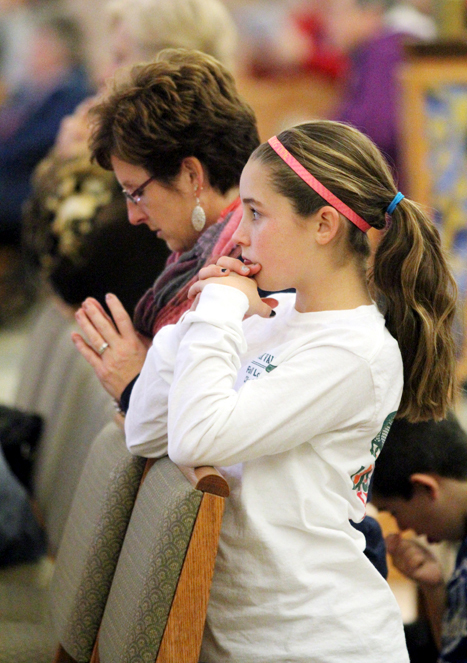 Jennifer (left) and Lauren Murphy pray during Mass. 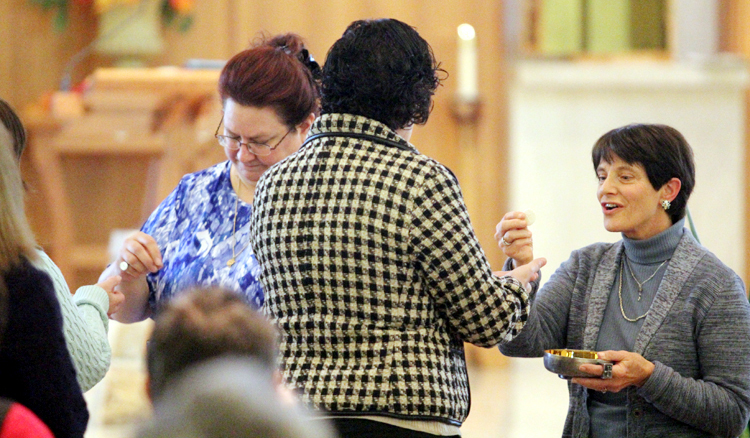 Extraordinary ministers of holy Communion Emily Zawacki (left) and Jo Christoff distribute the Body of Christ to worshipers. 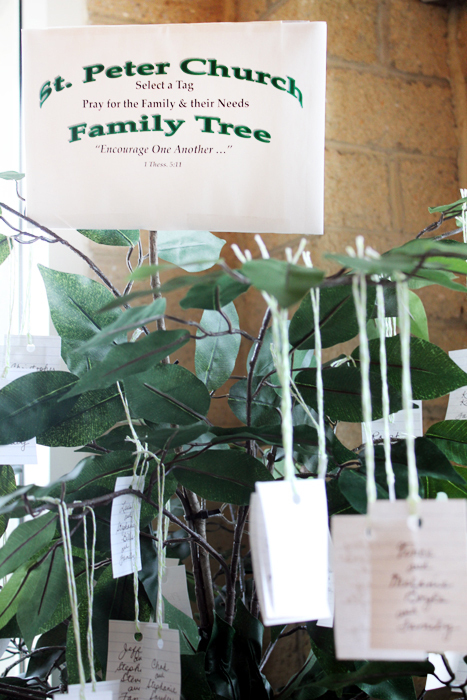 The Family Tree at St. Peter’s encourages parishioners to select a tag with the name of a family and to pray for that family. 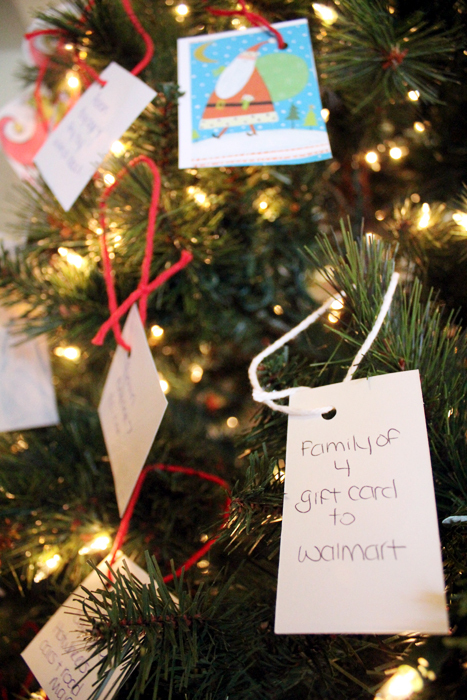 A Giving Tree invites parishioners to select a tag for a Christmas gift item to be given to needy people in the community. Beautiful! 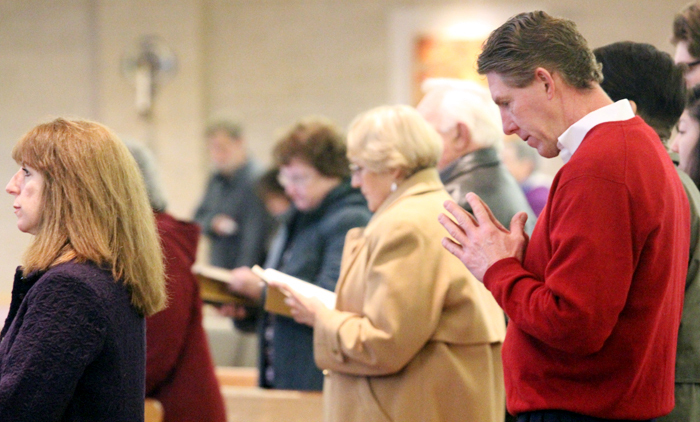 Looks like a real Eucharistic community. 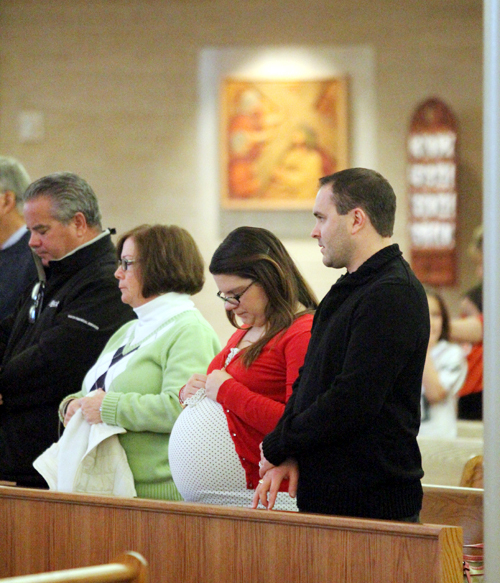 Congratulations to their pastor , Fr. Michael Fitzpatrick. Happy Christmas to all.